I still have to research this group much more, as they could form one of the most varied and fastest growing group of walkers. A long, long time ago they probably used to be all of us… back when we where living in small clans, moving on foot together, from place to place. 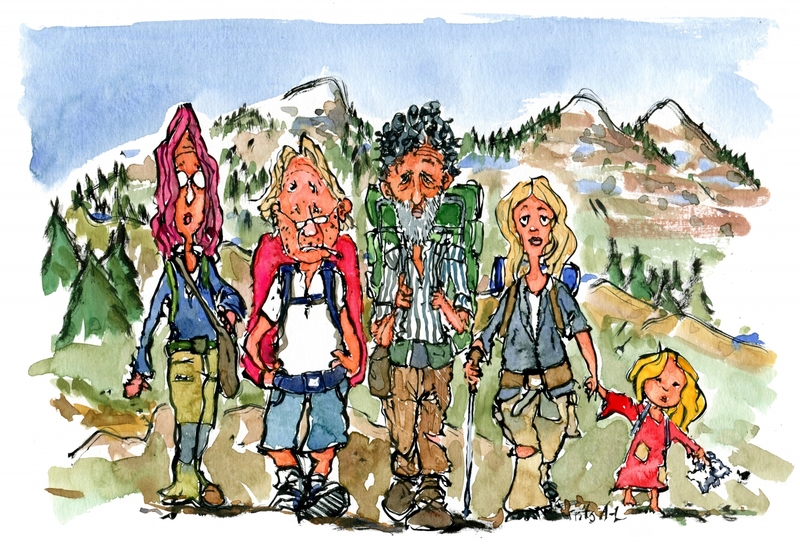 Today a new generation of hikers of all ages and types have dropped a place to go back to. Their home are the trails. Apparently on some of the most established long distance trails several of this hiker type spend their lives, just following trails. One of the things that are different here is that some of them use technology to create a home, not in any GPS defined place, but online, in a different world, where they login, have their more or less clear defined job, and create digital content, stories, upload photos and come back almost every day. Others have turned their back completely on technology and gone “off grid” to simplify an reconnect as much as possible to the planet. Following ancient trails and relying on their hunting, gathering and outdoor skills and closely knitted group for survival.